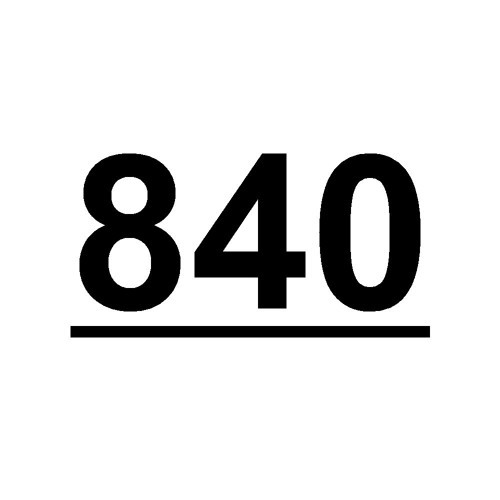 840 is a London-based concert series curated by the composers Alex Nikiporenko and James Luff. The series is dedicated to providing a platform for new experimental and minimal music. Each concert focuses on a particular chamber instrumentation, showcasing a diversity of works by living composers. 840 takes its name from Erik Satie's inscription in Vexations - "In order to play the theme 840 times in succession, it would be advisable to prepare oneself beforehand, and in the deepest silence, by serious immobilities." Composer Nicholas Peters co-founded and co-curated the series from 2014 until 2017.